Farren Yero obtained her B.A. (2010) in Anthropology at the University of Florida and her M.A. (2013) in Latin American Studies at Tulane University. 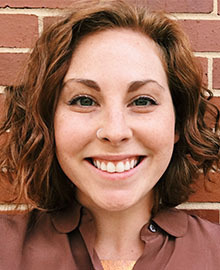 She is a PhD candidate in the Department of History at Duke University, working on the history of medical philanthropy and humanitarianism in Latin America. This summer she will conduct research at the National Library of Medicine in Washington, D.C., investigating the World Health Organization’s Smallpox Eradication Program (SEP) in Mexico during 1953-1988. Her research examines how international health initiatives such as the SEP were imagined, implemented, and codified through official narratives of health and prosperity in Mexico during the Cold War. The research she will conduct this summer specifically asks how legacies of colonial medicine, most notably the narrative of the diseased native and an overzealous faith in scientific and technological progress, continued to shape global health practices well into the twentieth century.